The purpose of this retreat is to provide a platform post-treatment for clients to create their own healing at their pace. Beyond Cancer will restore the body and mind from the harmful side effects of cancer treatments, which many people continue to carry with them for years afterwards. We present Yogic tools, which help our clients to move from a state of victimhood to a state of empowerment. 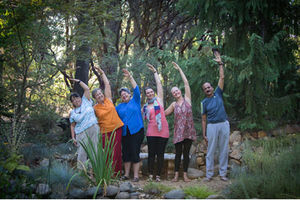 Offered for the second time in Australia, the Beyond Cancer retreat was created at Kaivalyadhama Yoga Institute in India and has been successfully helping cancer patients for the past 5 years. We use evidence-informed Yogic tools such as; meditation, Yoga Nidra, chanting, breathing techniques, postures, and vegetarian diet. In Beyond Cancer retreats, we provide our clients with research material on carcinogenic factors in our every day lives. We educate clients on how to employ natural methods to reduce stress, increase energy levels, and strengthen their immune system to prevent reoccurrence of cancer. Beyond Cancer participants undergo an assessment at the start and the end of the retreat. The past results show an overwhelming decrease in negative emotions and equally impressive increase in energy levels. The results shown in the chart below are an average of participants’ before and after test scores from our 2016 Beyond Cancer programs. Yoga has given us a variety of methods which research proves have a direct influence on the body’s biological systems (Central Nervous, Respiratory, Endocrine, Digestive, Reproductive etc). Allopathic medicine teaches us that we are unable to manage our Autonomic Nervous system without external intervention. However, Yogic science proves that our breath is the direct link to manage our mind and our body’s systems. By practicing breathing techniques our clients start healing from within. What makes Beyond Cancer – Healing the Whole Being retreat unique? Intensity and commitment. The duration of this retreat is the key to our client’s success in recognizing change within themselves. In these 3 weeks, clients will observe harmful patterns/habits and internalize new ones. 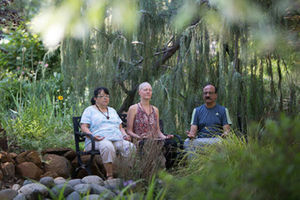 Our participants are encouraged to become aware of what works for them and we develop a personal plan together for home practice after the retreat. Our unique experience-based learning approach leads to 80% of participants continuing their new lifestyle habits once they return home and maintaining all the positive benefits. Over the course of the retreat, suppressed emotions come to the surface and can be uncomfortable. Throughout the 3 weeks together, the Beyond Cancer facilitator will hold a daily “office hour” for drop-in counseling to support those who may need it. *Schedule may be subject to slight changes. 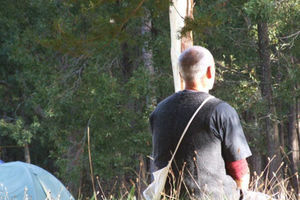 * *The Group Activities include health education, yogic counseling and therapeutic group work. We will help you to examine your attitude to life, and identify your personal goals to create a well-balanced and fulfilling life. 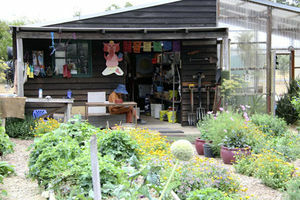 Accommodation in Rocklyn Ashram is distinguished by its tranquil setting nestled within the depths and silence of the Wombat State Forest near Daylesford, Victoria, Australia. As diet plays a quintessential role in Yogic healing, all meals are included and will be prepared in the Ashram according to nutritious vegetarian diet. Each client will have a private room for optimum relaxation and privacy. 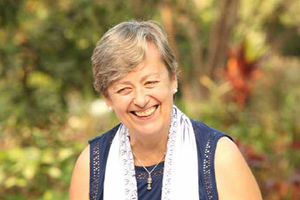 Lee Majewski, MA, DYEd, C-IAYT is a senior Yoga Therapist at Kaivalyadhama Health and Yoga Institute in India. Her own journey through cancer bought home the value of ancient Yogic methods and techniques to facilitate self-empowerment and healing in her life. Daily yogic practices have helped her immensely to cope with the negative side effects of her allopathic cancer treatment. Now Lee creates and teaches Yoga Therapy programs for cancer survivors and people with chronic diseases. She is passionate about sharing the healing value of Yoga and continues to advocate for Yoga Therapy’s place in healthcare and in the medical community worldwide. For more information on Beyond Cancer in international Yoga Therapy conferences please see the links to SYTAR and IAYT below.